The Ins and Outs, and the Do's and Don'ts on finding all the Money you need for your Real Estate Investment Deals! This is a content only meeting, no sales, ask questions, pass out your business cards, speak to local investors and experts. He owned and operated his own IT business for over 25 years and now enjoys investing and helping others in real estate. He has been in the real estate business for over 20 years. Tonight, ask all the questions you want. 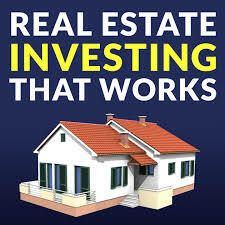 He has experience in Buy – Fix and Hold, Buy – Fix and Sell, Wholesaling, Flips, Lease Options, Notes, NP 1st and NP 2nd, HOA Foreclosures, LLC & INC’s, ROTH IRAs, Check – Controlled LLC, Land Trusts, Multi-Family and Property Management. Come tonight to learn, ask questions and network bring your business cards. Attend the 4th Wednesday of every month to hear and meet our Nationally renowned speakers. Educational material is also available for purchase to support you in your real estate business endeavors. Free Guest Pass at main monthly meeting only, 4th. Wednesday of every month.